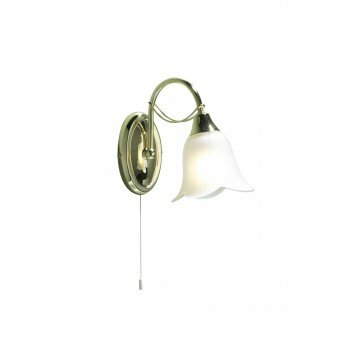 Dar Lighting Doublet single light wall fitting in a polished brass finish with floral influenced glass shades. The product code for this Dar wall fitting is DOU0740. This fitting is operated by a pull cord switch. A double wall fitting and a 5 light ceiling fitting are available to match.